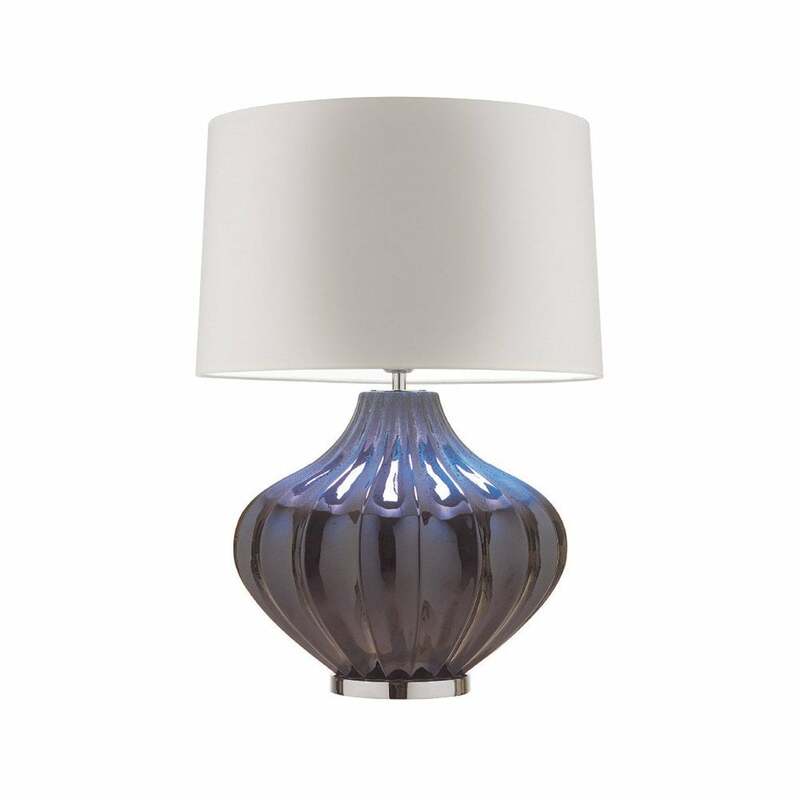 The Mallory Table Lamp by Heathfield & Co features a striking fluted base finished with a unique reactive glaze. Complemeted by chrome detailing, the semi-matt crackle glaze is available in three beautiful colours - blue stone reactive, evergreen and turquoise. Add a pop of colour to a traditional interior scheme with the blue stone reactive and evergreen hues or break up a monochrome bedroom with the turqoise lamp. Shown here with a luxurious silk shade, other premium shade options are available. Get in touch with our team to receive advice, tips and samples.